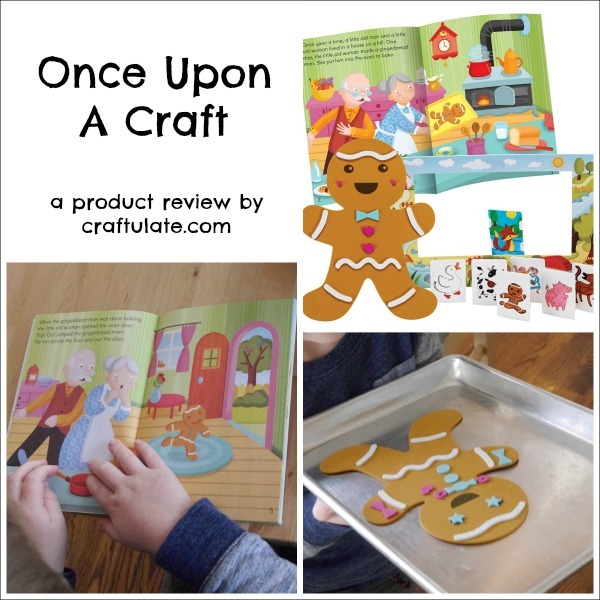 Once Upon a Craft is a wonderful series of kits that combine reading and creativity! 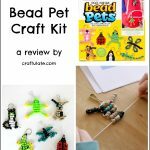 Disclosure: I was provided with this craft kit from Educational Insights free of charge in exchange for my fair and honest review. Please see my disclosure policy. This post also contains affiliate links, which means that at no extra cost to you I can make a tiny bit of money to help support this blog. Thank you! The kits are all slightly different, with some making photo frames or mobiles. 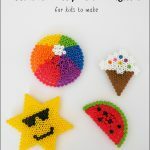 But I love the idea of reading the story then making a craft to go with it. I met with some of the Educational Insights team recently and was very impressed with this series. When they offered a set for me to try out, I opted for The Gingerbread Man – probably because of the time of year! This particular set contains a 24 page illustrated book of The Gingerbread Man, a foam gingerbread man with three sheets of foam stickers for decorating and seven finger puppets and puppet show stage. My son and I immediately got started with reading the story. Next we coloured in the cute puppets and constructed the stage. Then F told his version of the story using the stage and puppets! Then we completed the activity by decorating the gingerbread man. 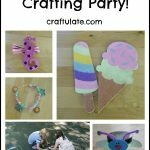 All the decorations were adhesive – so no messy glue required. 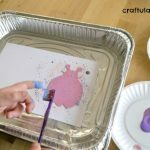 We really enjoyed this kit – and I know that we’ll be decorating our art wall with the gingerbread man, re-reading the book, and playing with the puppets and stage many times over!